You have created an InfoPath form and you want to publish this form as an administrator-approved form template. This article shows you how you can do this. 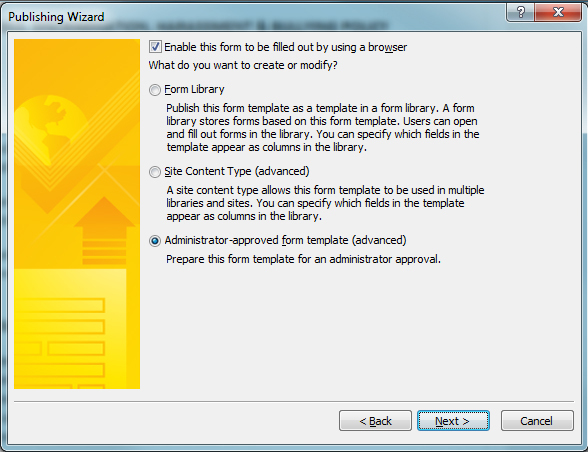 Create you form using InfoPath Designer 2010. 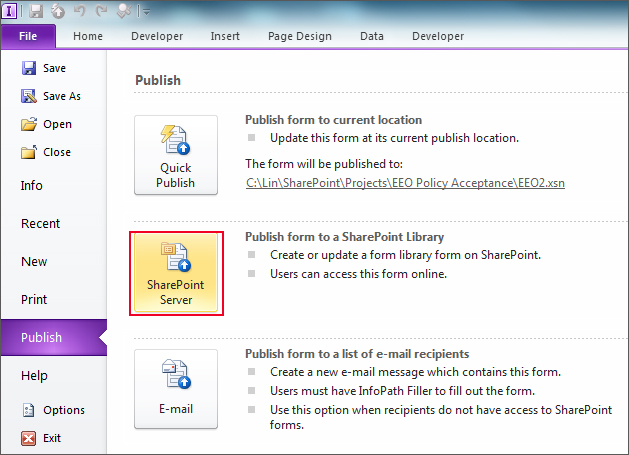 Then go to "File >> Publish >> SharePoint Server"
Then login to your SharePoint server and open "Central Administration"; go to “General Application Settings >> Manage form templates”. Then click “Upload form template”. After it’s uploaded. Click the newly added template to bring up the drop down menu. Click “Activate to a site collection”. Then browse to your SharePoint site and go to the site collection you activated the template to; go to “All site contents >> Form templates”. You will find your form templates there.